Eboodhoofinolhu is a long narrow island eight kilometers from the airport. It opened as Embudhu Finolhu Island Resort in 1979 and is now called Taj Exotica Resort. An Eboo is a tasty berry found on my islands which ripens all year on a prickly bush that grows to two meters in height. Eboodhoofinolhu has a big sandy lagoon ideal for water sports and a boat that was sunk in the lagoon for divers. 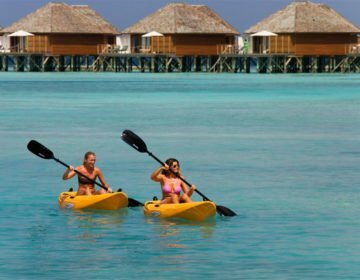 Edoodhoo is a pear-shaped island with a narrow lagoon and close-hugging reef that drops away to 20 meters or more onto the floor of the inner atoll. The reef is ideal for snorkeling with good coral cover and abundant reef fish. Embudhu Village started as a tourist resort in 1979. Fushidhiggaru Falhu is a long reef that lies between Eboodhoo and Gulhi. 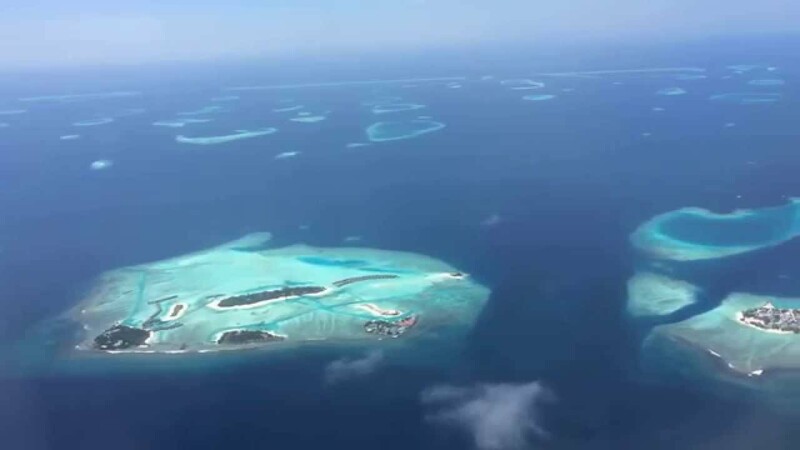 It is the most eastern point of the atoll, and during rough seas of the north-east monsoon, the reef becomes virtually invisible, and many unrecorded Maldivian ships and dhonis have wrecked here. Gulhi is an ancient, inhabited island renowned for its fishing. A gulhi is an earthen pot used to carry three to four liters of water and is the traditional means of moving water on a dhoni. A mosque was built here during the reign of Sultan Mohammed Shamsuddin III (1904 – 1934 AD). The island has a good entrance suitable for deep-drafted boats, and a shipyard and slipway have operated here since 1984. The island, is, however, surrounded by dangerous reefs which throw up unexpected waves during storms in the south-west monsoon. Boats coming to Gulhi or passing through Gulhee Dhekunu Kandu have been wrecked here. Several years ago a ship with a family of six went down here with many of them killed. 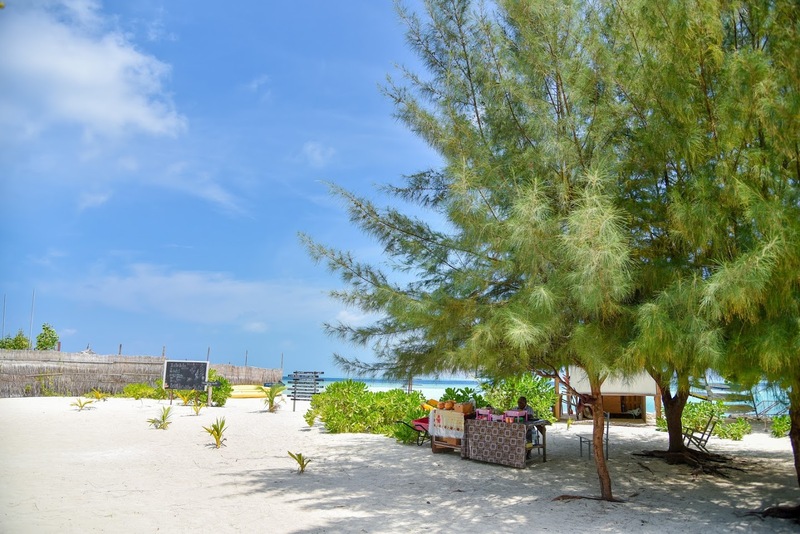 Gulhiggaathuhuraa is a small island that houses the machinery, boats and dive school for the resorts of Dhigufinolhu, Veligandu Huraa, and Boduhuraa, and is connected to these islands by a long walkway. Dhigufinolhu means long sandbar. This island is about 400m long and 60m wide and started as a tourist resort in 1981. It lies well inside the reef and is surrounded by a sandy beach and a big shallow lagoon, ideal for windsurfing. 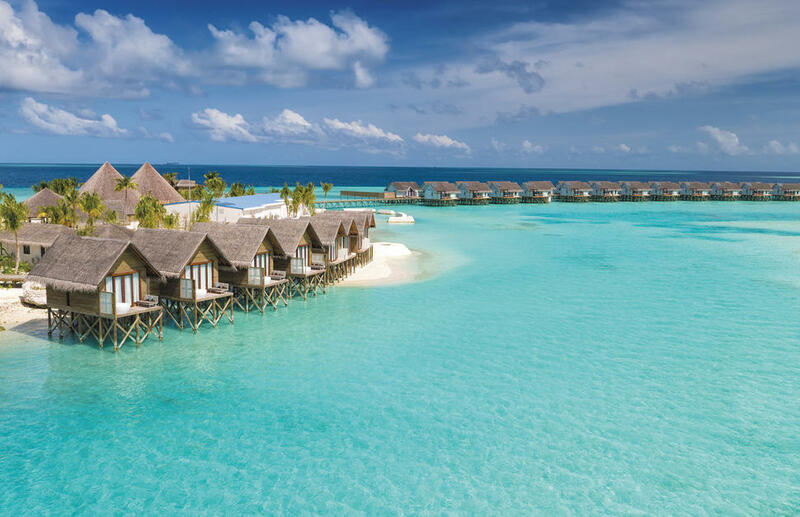 The resort is now called Anantara Maldives. 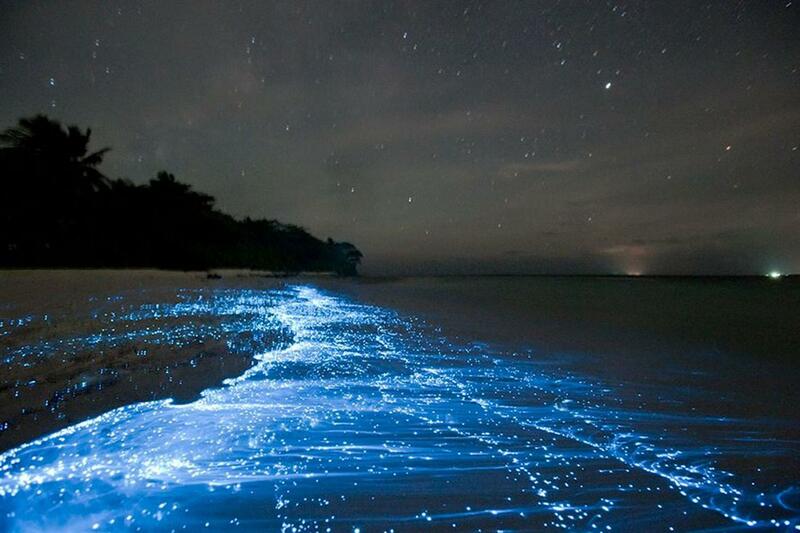 Veligandu Huraa means sand hill. 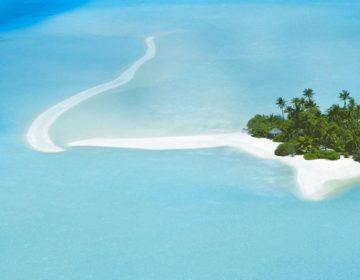 In 1984 the island was made a resort called Palm Tree Island and is now called Naladhu Private Island Maldives. There are excellent diving and snorkeling on the outside reef. 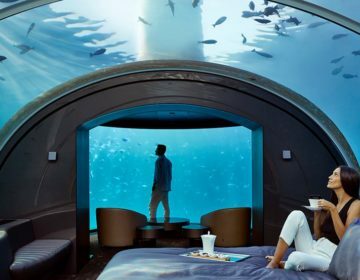 Boduhuraa opened as a resort in 1998 and is now called Anantara Veli Maldives Resort, is the fourth island on the reef connected by a walkway to Veligandu Huraa. Vammaafushi is an uninhabited island. Maafushi has been inhabited for a long time and is a well-known fishing island. The State Trading Organisation (STO) Hs a center here and buy dried tuna from the fishermen. Lonumas is tuna and reef that has been salted, washed in salt water and then dried in the sun. Hikimas is tuna cut into four pieces and prepared by first boiling it for two to three hours in salt and fresh water. It is then smoked for a day before being dried hard in the sun. This island also had a prison on it. Makunufushi is a long narrow island with a sandbar four times the length of the island extending from the eastern side. It has a shallow, clear lagoon on the southern side and deep-water ideal for snorkeling on the northern side. This reclusive resort caters to up-market tourists and opened as COMO Cocoa Island Resort in 1981. Biyadhoo opened as Biyadhoo Island Resort in 1982. It has an area of about 10 hectares and is so heavily treed that the bungalows, set in from the beach, can hardly be seen. It has a close fringing reef allowing convenient diving off the island. The island was previously inhabited, then deserted around 1830. 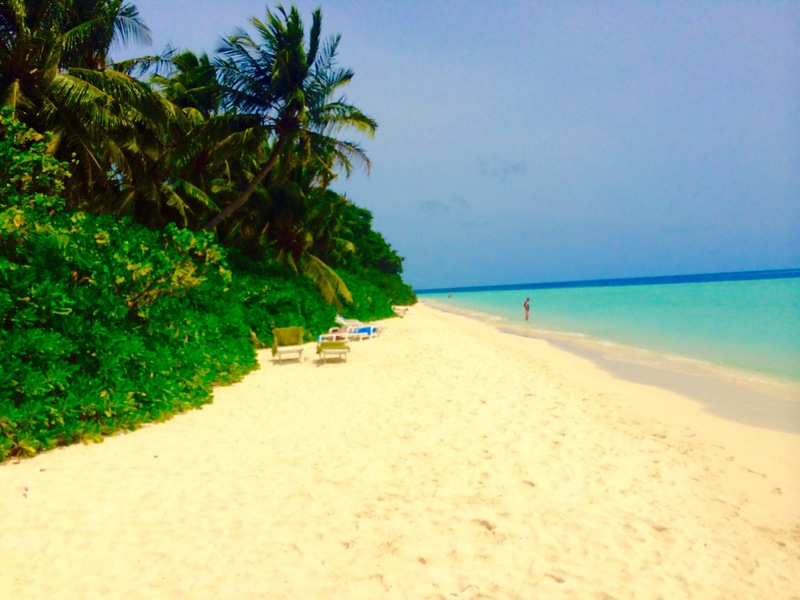 Viligilivaru, meaning ‘gold sand’opened as Villvaru Island Resort in 1981 and is the twin island of Biyadhoo. Similarly, the island is heavily treed with a small lagoon and has a long reef extending out to the south of the island. It was formerly inhabited but became uninhabited around 1830. Later, Biyadhoo and Viligilivaru accommodated the sick and needy of the Maldives with the men being housed on Biyadhoo and the women on Viligilivaru. It is now called Dream Island. Kandoomaafushi means mangrove tree island. A kandoo is a mangrove tree, and a maa is a general term for a flower (finnifen maa is the flower that produces rosewater). Kandoomaafushi opened as a Kandooma Tourist Resort in 1985 and is now called Kandooma Holiday Inn. Guraidhoo is an ancient island with a rich history. Guraa means a ‘parrot,’ and there are many isolated reefs in this area, and a good knowledge of the intricate reef systems is required to navigate here. Guraidhoo lagoon offers dhonis excellent protection from the north-east monsoon. It is a popular anchoring location for safari dhonis because they can tie off at the beach allowing easy access to the island. In the past, Guraidhoo was a favorite resting place for sultans, and during rebellion or outside invasion, sultans fled to the protection of these islands. The 65th sultan, Hussain Faamuladeyri Kilagefannu (1609 – 1620 AD) was buried here. In 1971, a guest house catering for up to 35 people was opened on Guraidhoo but, like Hummafushi in North Male Atoll, it was closed in 1984 due to the undesirable western influence on the local population. Today, more than 25 shops cater for the influx of tourists visiting the island from nearby resorts. 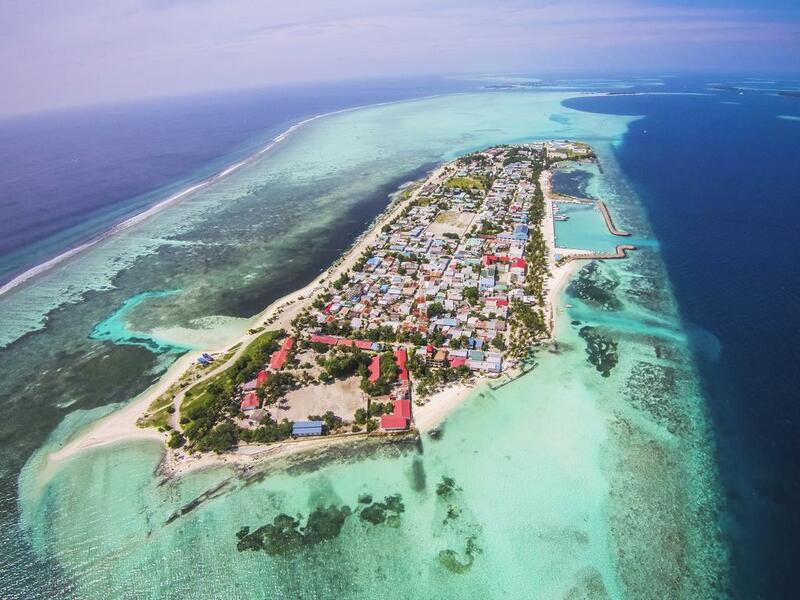 Maadhoo lies at the north end of a significant reef formation known as Maadhoo Falhu. This was once the biggest and most populated island in South Malé Atoll and is now a resort named Ozen by Atmosphere. Kudafinolhu is an uninhabited small sandbank. Bodufinolhu is a larger island that opened as Fun Island Resort in 1980. Olhuveli opened as a resort island in 1979. It was once inhabited and the second most populated island in South Malé Atoll. Olhu is a word used to describe a deeper place in the reef where boats can go in and out. Veli means sand, so this could have referred to the sandy entrance allowing boast of entry to the inner lagoon. Ehuruh Huraa is an uninhabited island on the outside of the reef. It is appropriately called bird island because of a large number of herons and terns nesting there. Oligandufinolhu is another uninhabited island called sun rising island. There was a fourth island nearby with coconut trees, but it was washed away in 1983. Mahaana Elhi Huraa means island of the grave. It opened as a Rihveli resort in 1983, and it was at this island that passing fishermen made a shrine at a site believed to have been the grave of another fisherman. Tholhimaraahuraa is a reef that was once a small island since washed away. It is renowned for fishing. Tholhi means long fish, such as trumpetfish, cornetfish, and barracuda and maraa means to be dead. Fihalhohi was previously uninhabited and started as a resort in 1982. 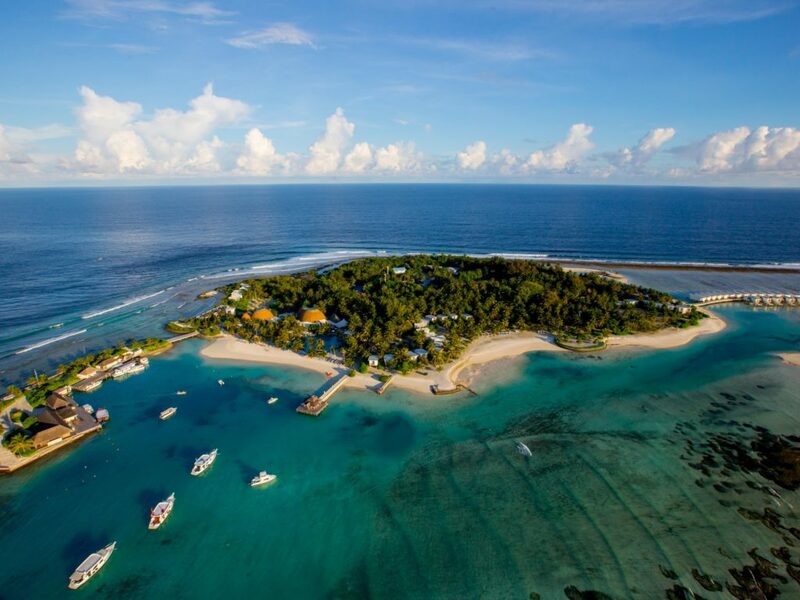 Fiha means to bake and being the last island in the south-west of the atoll; the name is believed to have originated from fishers cooking on the island before setting out of their westward journey to Ari Atoll. Rannalhi opened as a resort in 1978. Ran means gold and nalhi means to measure. In old times, goods such as rice were measured by a nalhi, which was a rounded object, sometimes made of gold, weighing about 1kg. Rah also means island, and the island is now named Adaaran Club Rannalhi. Many of the islands in South Malé Atoll did not have coconut trees until the reign of Sultan Mohammed Shamshuddeen III (1903 – 1934 AD). At this time a powerful minister, Sayyid Kilegefanu, who had a lease on North and South Malé Atolls, started planting coconut trees on many of the sandy islands, including Rannaldhi. The trees were imported from Addu Atoll, which was renowned for the size and quality of its coconuts and the trees from Rannaldhi are said to grow some of the biggest coconuts in the northern atolls. Vaagali is an uninhabited island. Vaa means jungle and gali branching coral, and here the thickets of coral gave the island its name. It has a good anchorage in the shallow lagoon. Kalhuhuraa was an uninhabited island now washed away. One old Maldivian said his father used to collect coconuts from the island 100 years ago. Kalhu means black, and from this reef, black coral is found. Maniyafushi is classed as an uninhabited island, but it is now being used as a base for grouper exports. Bolifushi opened as a resort in 1982. Boli means shell, and it is believed that the money cowrie, for which the Maldives were famous, were harvested here. Velassaru was an uninhabited island before opening as a resort in 1974. Vaadhoo opened as a resort in 1978 and is now named Adaaran. The island was once much larger and inhabited by the original people of the Maldives. A temple and statues uncovered form the island ten years ago during the building prove the people were Buddhist. The channel between Velassaru and Vaadhoo is the route by which many sailing boats are coming from the south pass. In the past, ships passing through here lowered their foresail, or thummathi, as a signal of respect for the sultan. If the ship had square sails, it lowered its topsail, tafaru.